John Williams, president of charity Where Next, explains why its work is still so important. 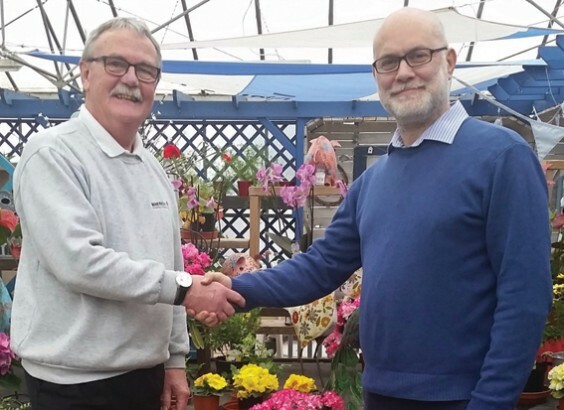 After nearly two decades of managing Where Next, one of Redditch’s most successful charities, Alvechurch resident Graham Clark has handed over the reins to new CEO Mathew Gilbert (above). Established in 1984, Where Next Association is a charity providing work experience and training for people with learning disabilities or those disadvantaged in some way. Graham said: “I am very proud to have been able to help Where Next over the time I have been there. I originally only came for a month but ended up staying for 17 years! So, who are Where Next and why are we here? If you have a learning disability, you are much more likely to be isolated from your community and be presented with barriers to employment and services. Where Next exists to bridge this gap by nurturing social, life and vocational skills for those with a learning disability, helping them to have greater opportunities and become active members of their family, community and society. It is a charity of which we can be justly proud and one with its beginnings here in Alvechurch over 30 years ago, when a group of local parents were determined to find a way to tackle the problem. Growing plants and flowers was known to be very therapeutic and when a derelict horticultural nursery next to Redditch fire station was spotted, an idea grew. The site belonged to the borough council, who agreed that it could be used for the charity as long as those involved were prepared to do the renovations. It took a lot of hard work and support to put the greenhouses back together, but we got there. A place where people with learning disabilities could gain work experience and be able to contribute to a successful business and to society. As the plants grew, so did the numbers attending Where Next. Soon there was a flourishing business operation that included training and involvement in the community. With this came respect – respect for the organisation, but much more importantly, respect for those with learning disabilities. Over the years we have developed three new sites, two in the heart of Redditch and one in Studley, increasing the range of opportunities to include carpentry, light assembly and packing, and landscape gardening. With the successes there are also challenges, such as Increased pressure on funding for adult services through local authorities. But we are innovative, optimistic and determined, and with your support we will continue to be part of your community for as long as we are needed. Graham Clark has helped to lead Where Next through so much, and leaves us in a stronger position than when he started. His dedication to the organisation has been unfailing. Mathew Gilbert, as the new CEO, will continue this and help to guide us through the challenging times. Mathew brings a wealth of experience including 16 years in charities, culminating in nine years as Chief Executive of Signal, a charity working with people with hearing loss in the UK and overseas.